Edwrad Cullen smiling . . Wallpaper and background images in the Edward Cullen club tagged: smile smiling laught edward robert. 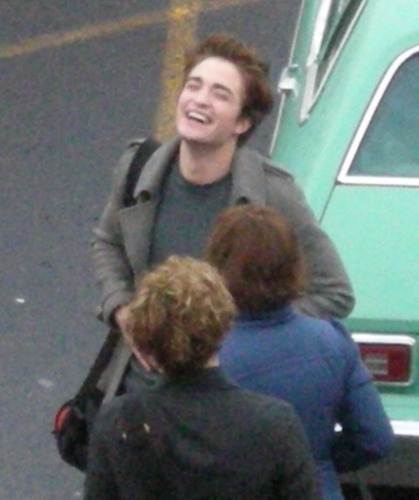 This Edward Cullen photo might contain street, city scene, urban setting, automobile, car, auto, suv, and truck.